Presented on the panel “Reconsiderations in Western Marxism: Lukács, Korsch, Adorno, Marcuse,” with panelist Baolinh Dang, at the Historical Materialism conference, York University, Toronto, May 14, 2010; and on the panel “Hegel, Marx, and Modern Philosophy,” with panelists Patrick Murray and Richard Westerman at the Weissbourd 2011 Annual Conference, the University of Chicago, May 6, 2011. Excerpted from “Book review: Karl Korsch, Marxism and Philosophy” and “Rejoinder on Korsch,” originally published in The Platypus Review (#15, September 2009, and #20, February 2010). The publication of Karl Korsch’s seminal essay “Marxism and Philosophy” in 1923 coincided with the publication of Georg Lukács’s landmark collection of essays, History and Class Consciousness. While Lukács’s book has the word “history” in its title, it follows Marx’s Capital in addressing the problem of social being and consciousness in a primarily “philosophical” and categorial manner, as the subjectivity of the commodity form. 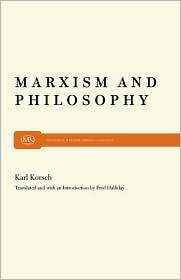 Korsch’s essay on philosophy in Marxism, by contrast, is actually a historical treatment of the problem, from Marx and Engels’s time, through the 2nd International, to what Korsch called the “crisis of Marxism” and the revolutions of 1917–19. More specifically, Korsch’s essay takes up the development and vicissitudes of the relation between theory and practice in the history of Marxism, which Korsch considered the “philosophical” problem of Marxism. Independently of one another, both Korsch’s and Lukács’s 1923 works shared an interest in recovering the Hegelian or “idealist” dimension of Marx’s thought and politics. Both were motivated to establish the coherence of the Marxist revolutionaries Lenin and Luxemburg, and these 2nd International-era radicals’ shared grounding in what Korsch called “Marx’s own Marxism.” Due to a perceived shortcoming in the expounding of revolutionary Marxism, the problem for Korsch and Lukács was interpreting Marxism as both theory and practice, or how the politics of Lenin and Luxemburg (rightly) considered itself “dialectical.” Both Lukács and Korsch explicitly sought to provide this missing exposition and elaboration. Korsch responded differently to the party’s criticism. Quitting the 3rd International Communist movement entirely, he became associated with the “Left” or “council” communism of Antonie Pannekoek and Paul Mattick. Though making a choice very different from Lukács and distancing himself from official “Marxism-Leninism,” Korsch also came to disavow his earlier argument in “Marxism and Philosophy.” Specifically, he abandoned the attempt to establish the coherence of Lenin’s theory and practice with that of Marx, going so far as to critique Marx. Thus, in the 1930 essay “The Present State of the Problem of ‘Marxism and Philosophy:’ An Anti-Critique,” Korsch argued that, to the degree Marx shared a common basis with Lenin, this was an expression of limitations in Marx’s own critical theory and political practice. Indeed, for Korsch it was a problem of “Marxism” in general, including Kautsky and Luxemburg. Ultimately, Korsch called for “going beyond” Marxism. The complementary, if divergent, trajectories of Korsch and Lukács are indicative of the historical disintegration of the perspective both shared in their writings of 1923. Both had understood the “subjective” aspect of Marxism to have been clarified by Lenin’s role in the October Revolution. 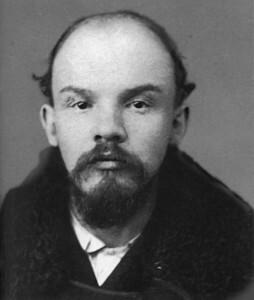 The figure of Lenin was irreducible, and brought out dimensions of the Marxian project that otherwise lay unacknowledged. No less than Lukács’s History and Class Consciousness, Korsch’s essay on “Marxism and Philosophy” inspired the work of the Marxist critical theorists associated with the Frankfurt School — Horkheimer, Marcuse, Benjamin, and Adorno. But the reputation of Korsch’s work has been eclipsed by that of Lukács. What the usual interpretive emphasis on Lukács occludes is that the Frankfurt School writers grappled not only with the problem of Stalinism but “anti-Stalinism” as well. Both Korsch’s and Lukács’s post-1923 trajectories were critiqued by the Frankfurt School writers. Korsch, in the 1930 “Anti-Critique,” distanced himself from the problem Adorno sought to address, of the constitutive non-identity of theory and practice. Writing 40 years later, in Negative Dialectics (1966), Adorno thought, like Korsch and Lukács in the early 1920s, that Lenin and Luxemburg’s theoretical self-understanding, together with their revolutionary political practice, comprised the most advanced attempt yet to work through precisely this non-identity. In Adorno’s terms, both the later Korsch and official “dialectical materialism” (including the later Lukács) assumed “identity thinking,” an identity of effective theory and practice, rather than their articulated non-identity, to which Korsch and Lukács had drawn attention earlier. Instead of this recognition of the actuality of the symptom of “philosophical” thinking, of the mutually constitutive separation of theory and practice, Korsch, by embracing “council” communism, and shunning Marxian theory in the years after writing his famously condemned work, succumbed to what Adorno termed “identity thinking” — just as Lukács had done in adapting to Stalinist “orthodoxy.” By assuming the identity of theory and practice, or of social being and consciousness in the workers’ movement, Korsch sought their “reconciliation,” instead of discerning and critically grasping their persistent antagonism, as would necessarily be articulated in any purported politics of emancipation. In 1923, Korsch had explicitly tied the question of “philosophy” to Lenin’s treatment of the problem of the state in The State and Revolution (1917). Just as, with the overcoming of capitalism, the necessity of the state would “wither,” and not be done away with at one stroke, so too the necessity of “philosophical” thinking, specifically the critical reflection on the relation of theory and practice, as it appeared in the epoch of capital, would dissolve. This side of emancipation, “theoretical” self-reflection, thought’s reflecting on its own conditions of possibility, remains necessary, precisely because it expresses an unresolved social-historical problem. Korsch divided the relation of Marx’s thought to philosophy roughly into three periods: pre-1848, circa 1848, and post-1848. These periods were distinguished by the different ways they related theory and practice: the first period was the critique of philosophy calling for its simultaneous realization and self-abolition; the second, the sublimation of philosophy in revolution; and the third, the recrudescence of the problem of relating theory and practice. Korsch’s third period in the history of Marxism, post-1848, extended into what he termed the “crisis of Marxism” beginning in the 1890s with the reformist “revisionist” dispute of Eduard Bernstein against the “orthodox Marxism” of the 2nd International — when the “revolutionary Marxism” of Luxemburg and Lenin originated — and continuing into the acutely revolutionary period of 1917–19, from the Russian Revolution of 1917 through the German Revolution and civil war of 1918–19, to the Hungarian Soviet Republic (in which Lukács participated) and the workers’ uprisings in Italy (in which Antonio Gramsci participated) in 1919. It was in this revolutionary period of the early 20th century that “Marx’s own Marxism” of 1848, as expressed in the Communist Manifesto, regained its saliency, but in ways that Korsch thought remained not entirely resolved as a matter of relating theory to practice. In “Marxism and Philosophy,” Korsch found that while Lenin and Luxemburg had tried to better relate Marxian theory and practice than 2nd International Marxism had done, they had recognized this as an on-going task and aspiration, and not already achieved in some finished sense. In the words of the epigraph from Lenin that introduces Korsch’s 1923 essay, “We must organize a systematic study of the Hegelian dialectic from a materialist standpoint” (“On the Significance of Militant Materialism,” 1922). If Marxism continued to be subject to a “Hegelian dialectic,” thus requiring the “historical materialist” analysis and explanation that Korsch sought to provide of it, this was because it was not itself the reconciled unity of theory and practice but remained, as theory, the critical reflection on the problem of relating theory and practice — which in turn prompted further theoretical development as well as practical political advances. Korsch thus established the importance for what Adorno later called the “historically changing” relation of theory and practice, making sense of their vicissitudes in the history of the politics of Marxism. Furthermore, by establishing the character of the “crisis of Marxism” as a matter of theoretical reflection, Korsch re-established the role of consciousness in a Marxian conception of social revolution, why the abandonment or distancing of the practical perspective of revolution necessitates a degradation of theory. According to Adorno, Marx had a critical theory of the relation of theory and practice — recognizing it as a historically specific and not merely “philosophical” problem, or, a problem that called for the critical theory of the philosophy of history — and a political practice of the relation of theory and practice. Adorno noted that the relation of theory and practice is “not settled once and for all, but fluctuates historically.” There is not simply a theoretical or practical problem, but also, and more profoundly, a problem of relating theory and practice. It is not a matter of finding either a correct theory or correct practice, but of trying to judge and affect their changing relation and recognizing this as a problem of history. This is a function of the past’s problematic legacy in the present. 2. Translated by Dennis Redmond (2001). 4. Theodor W. Adorno, Negative Dialectics, trans. by E. B. Ashton (New York: Continuum Publishing, 1983), 143. Translated by Fred Halliday. New York: Monthly Review Press, 1970 and 2008. KARL KORSCH’S SEMINAL ESSAY “Marxism and Philosophy” (1923) was first published in English, translated by Fred Halliday, in 1970 by Monthly Review Press. In 2008, they reprinted the volume, which also contains some important shorter essays, as part of their new “Classics” series. Independently of one another, both Korsch’s and Lukács’s 1923 works shared an interest in recovering the Hegelian or “idealist” dimension of Marx’s thought and politics. Both were motivated to establish the coherence of the Marxist revolutionaries Lenin and Luxemburg, and these 2nd International-era radicals’ shared grounding in what Korsch called “Marx’s Marxism.” Their accomplishment of this is all the more impressive when it is recognized that it was made without benefit of either of the two most important texts in which Marx explicitly addressed the relation of his own thought to Hegel’s, the 1844 Economic and Philosophic Manuscripts (first published in 1932) or the notes for Capital posthumously published as the Grundrisse (1939), and also without access to Lenin’s 1914 notebooks on Hegel’s Science of Logic (1929). Due to a perceived shortcoming in the expounding of revolutionary Marxism, the problem for Korsch and Lukács was interpreting Marxism as both theory and practice, or how the politics of Lenin and Luxemburg (rightly) considered itself “dialectical.” Both Lukács and Korsch explicitly sought to provide this missing exposition and elaboration. First Karl Korsch, later the functionaries of Diamat [Dialectical Materialism] have objected, that the turn to nonidentity would be, due to its immanent-critical and theoretical character, an insignificant nuance of neo-Hegelianism or of the historically obsolete Hegelian Left; as if the Marxist critique of philosophy had dispensed with this, while simultaneously the East cannot do without a statutory Marxist philosophy. The demand for the unity of theory and praxis has irresistibly debased the former to a mere underling; removing from it what it was supposed to have achieved in that unity. The practical visa-stamp demanded from all theory became the censor’s stamp. In the famed unity of theory-praxis, the former was vanquished and the latter became non-conceptual, a piece of the politics which it was supposed to lead beyond; delivered over to power. The liquidation of theory by dogmatization and the ban on thinking contributed to bad praxis; that theory wins back its independence, is the interest of praxis itself. The relationship of both moments to each other is not settled for once and for all, but changes historically. Today, since the hegemonic bustle cripples and denigrates theory, theory testifies in all its powerlessness against the former by its mere existence. Originally published in The Platypus Review #15 (September 2009). Abbreviated for presentation at the Historical Materialism conference, York University, Toronto, May 14, 2010. 1. Karl Marx’s Preface to A Contribution to the Critique of Political Economy (1859). 2. Max Horkheimer and Theodor Adorno, “Diskussion über Theorie und Praxis” (1956), in Horkheimer, Gesammelte Schriften (GAS) Vol. 19 (Nachträge, Verzeichnisse und Register) (S. Fischer, 1996), 69–71; quoted in Detlev Claussen, Theodor W. Adorno: One Last Genius (Cambridge: Harvard University Press, 2008), 233. 3. Claussen, 233; Horkheimer, GAS 19, 66. Furthermore, while “Marx wrote his critique of the [SPD, German Social-Democratic Party’s] Gotha Programme in 1875[,] Adorno had for some time planned to write a critique of the Godesberg Programme [in which the SPD formally renounced Marxism in 1959]” (Rolf Wiggershaus, The Frankfurt School: Its History, Theories, and Political Significance (Cambridge: MIT Press, 1995), 598). 6. Translated by Dennis Redmond, 2001. The first sentence of this passage, mentioning Korsch, is inexplicably missing from the 1973 Continuum edition of Negative Dialectics translated by E. B. Ashton (see “Relation to Left-wing Hegelianism,” 143). 9. Walter Benjamin, Selected Writings Vol. 3 (1935–38) (Cambridge: Harvard University Press, 2002), 54–56; Adorno et al., Aesthetics and Politics (London: Verso, 1980), 111–113. 10. Reed, “Paths to Critical Theory,” in Sohnya Sayres, Social Text Staff, eds., The 60s Without Apology (University of Minnesota Press, 1985), 257–258; originally published in Social Text 9/10 (Spring–Summer 1984).